Are you looking for a great play mat for your infant? 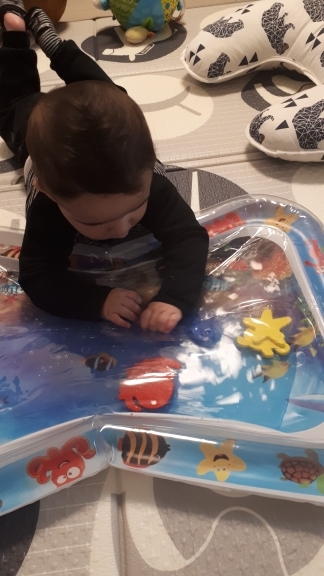 We have the answer with the premium baby water play mat, a safe and entertaining ocean water blanket that your child will love spending time on! The perfect tummy time activity. Tummy time helps your Infant build strength in his back, legs, arms and neck, preparing him/her to be ready to explore the world on their own. Enables learning about cause and effect, as the baby presses and moves the fish around from place to place. Lots of visual colors & movement which creates fun and excitement. Great for sensory stimulation, motor skills, cognitive abilities, and social skills. For ages 3 months & up. How to use: Open the biggest valve first and fill the mat with tap water. Then, open the small valve and inflate with air the frame of the Mat. 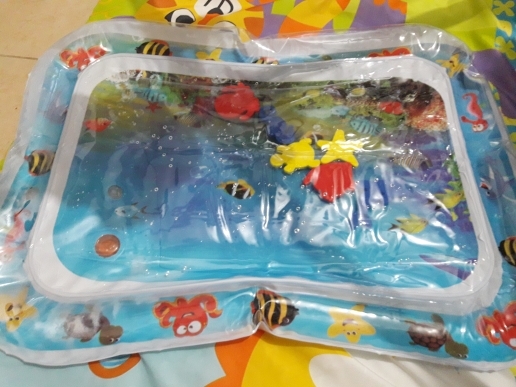 When not in use, the water can be drained and the mat can be folded. 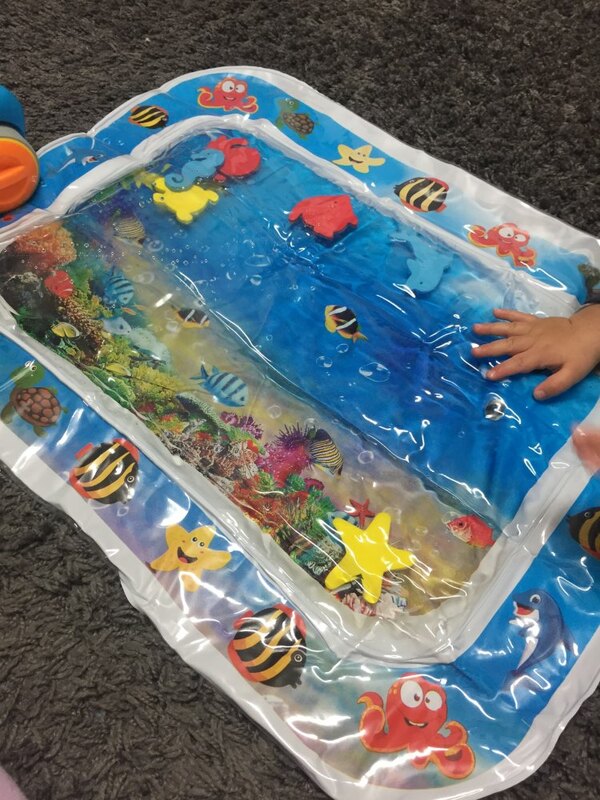 Made with BPA-free materials, this water play mat is safe for kids of any age and it’s also great for sensory stimulation, motor skills, cognitive abilities and social skills! 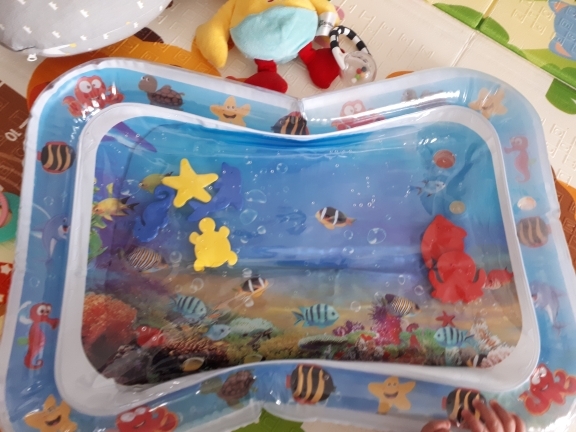 Play with your baby and show them how the fish move from place to place as you squeeze the mat, or let your children play together and share a toy, learning valuable collaboration and co-existing skills! A Thoughtful Gift That Will Make Your Baby Very Happy! Offer an ear-to-ear smile to your son, daughter, grandson, granddaughter or any lucky kid in your close circle and rest assured they will be playing with it for a very long time to come! At POWDEAL.com, we truly offer the most stunning, trendy highest-quality products in the world. Still Not Convinced? Scroll Down And See What Others Are Saying About BabyPlay™! Perfect product. Child development assistant.